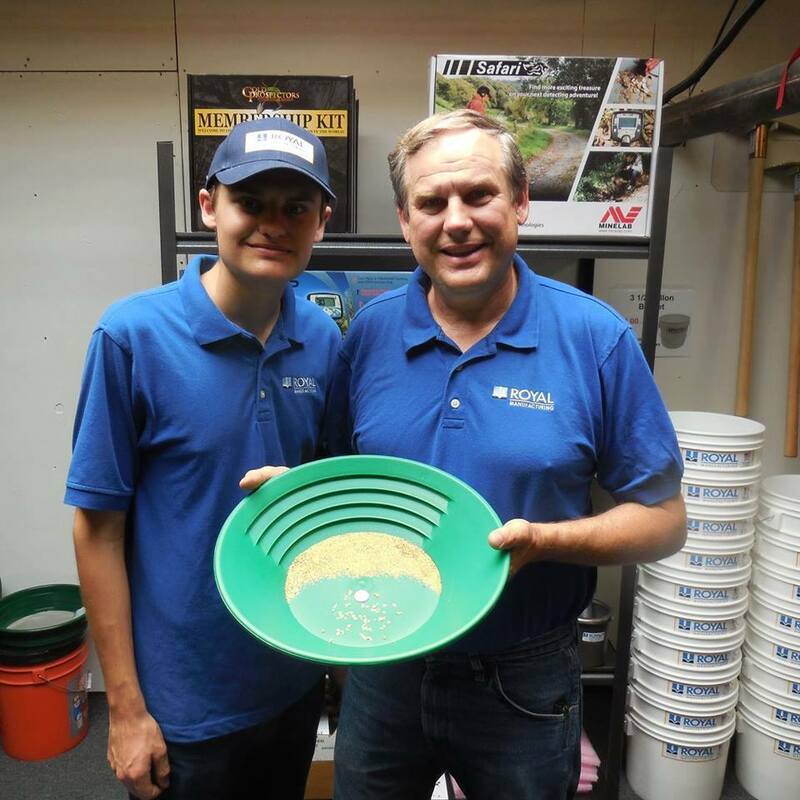 Royal Manufacturing Industries, Inc. is based in Santa Ana, California in a more than 23,000 square foot production facility and has been providing superior gold prospecting products for more than 20 years. We utilize the most advanced CNC laser cutting and 7 axis press-brake forming machine and one of our punching machines is one of the largest on the West Coast. Our patented Self-Locking mechanism on our Backpacking Stream Sluice. Our rubber matting on all of our Sluice Boxes are held down with 3M brand water proof double back tape, the same as used on water craft to hold the foam down. All of our Sluice Box stands are 100% continuous TIG welded all the way around making it air and water tight, also utilizing stainless steel wing nuts. Unlike the competition, we equip all non-folding Sluice Boxes with an American made black anodized carrying handle. All edges of all products are properly deburred whether it’s inside the tubing or the expanded metal grizzly on our Sluice Boxes or Highbankers. You will find no sharp edges that can cut you on any of our products. Our Baskets have every wire welded inside and out. All perforated holes are deburred so they are not a cheese grater on your knuckles. Our Dry Washer has satinless steel frame sockets and pins because if steel was used the plating would be damaged in the welding process. The heads of our Picks after heat treating and plating, go through a 24 hour baking process which removes the risk of hydrogen embrittlement. This keeps the product from developing microcracks and breaking. All products are packaged and padded properly and all box seams are taped to ensure you get your product without damage. We could go on and on… But from start to finish, when you buy our product, we go the extra mile to provide our customers with the ingenuity, quality, durabiliy and value you’ve come to expect.